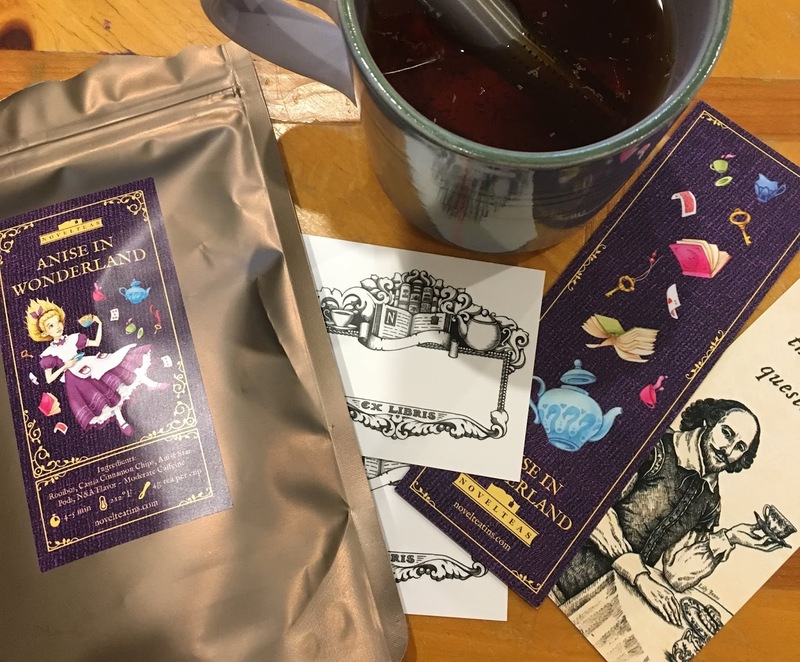 This blog has been delayed for a few months, not because the product was not delicious but because first I was ill, then I was on holidays and lately I had so many books to post that I didn't have any free day to share with you this amazing tea, the Novelteas! I discovered the Novelteas thanks to Kickstarter (I am sure you already know that I always search for new products to back there...) and I couldn't resist to back their products to try this tea and have one of their beautiful tins. I was quite delighted to discover a bookmark, some stickers, a pack of Anne of Green Tea Grables (I didn't expect this!) and of course the tea I ordered, the Alice in Wonderland! When I tried the tea, I couldn't believe how delicious it was! You could really taste all the flavours in it, is like a sweet delicious pastry that you can not stop drinking. 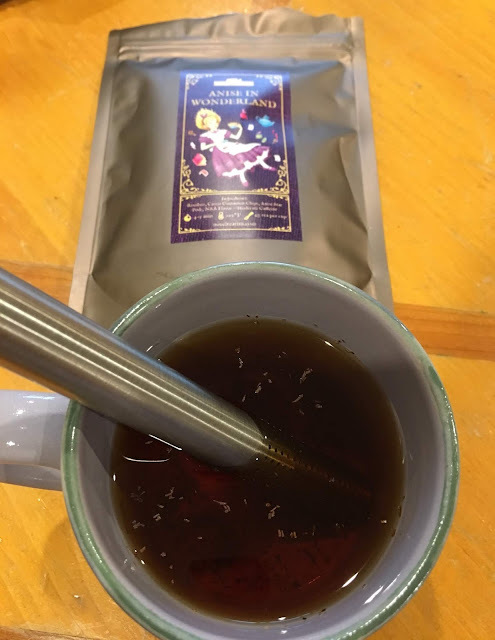 Really, if you are looking for a tea, you should take a look at all the variants of Novelteas, they have flavours to tempt the most opposed tea drinker! Here is a closer look at the tea, I wish I could share with you the smell, is delicious!